C4 grass species in the mesic tallgrass prairie of central North America can exhibit both high root production and deep rooting in the soil profile (>2 m). Differences in root growth and the types of roots produced vary according to local environmental gradients and management practices. The production of deep roots in tallgrass prairie has been historically presumed as a mechanism for water uptake when surface soils are dry. 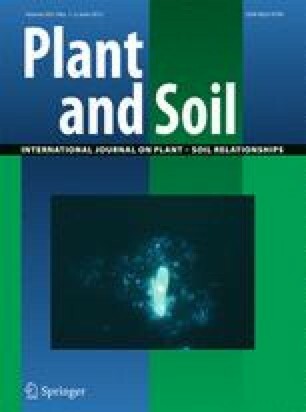 We examined changes in root biomass, total root length, root width, and theoretical hydraulic conductivity using roots collected from deep soil cores in upland and lowland topographic positions in grazed and ungrazed watersheds of the Konza Prairie Biological Station in north-eastern Kansas, USA. Root biomass, total root length, and theoretical hydraulic conductivity were highest in roots found in the top 20 cm of the soil profile, and then declined exponentially with increasing soil depth. Compared to grazed areas, ungrazed locations had more root biomass and total root length of roots in the most superficial soil layers. No differences in rooting profiles were present among topographic contrasts. Theoretical hydraulic conductivity of axial root xylem did not vary by topographic position or grazing contrasts, and declines in conductivity by depth were driven by changes in the number of vessels per stele, rather than changes in vessel size. Irrespective of differences by grazing treatment or topographic position, significant reductions in root biomass, total root length, and theoretical hydraulic conductivity of grass roots at soil depths greater than 1 m suggest deep roots in this grassland have limited functional significance for water uptake. We thank Gracie Orozco, Teall Culbertson, and Teddy Gelderman for technical support. The Konza Prairie LTER Program (DEB-0823341) and the NSF-REU Program (DBI-0851835) provided financial support.